We recently had the privilege of working with a couple of artists from Indiana, Chad Copeland and Alyssa Banas on their ArtPrize entry. Chad called us a couple months back and asked if we would donate some stone for the pond feature part of their art entry. Knapp Valley agreed to help them out and even allowed them to borrow a truck to haul the stone downtown to their venue at The B.O.B. After setting up “Forgive Our Trespasses” the artists asked if we would help them out further and landscape around their art. Eager to support the arts, Knapp Valley sent down a crew and “beautified” the area surrounding the art. The landscaping really made a huge difference as you can see from the before & after images. 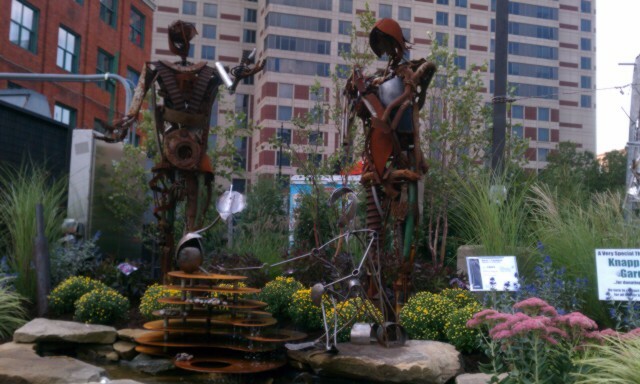 If you haven’t checked out ArtPrize yet, take advantage of this beautiful fall weather and see all the awesome works of art. 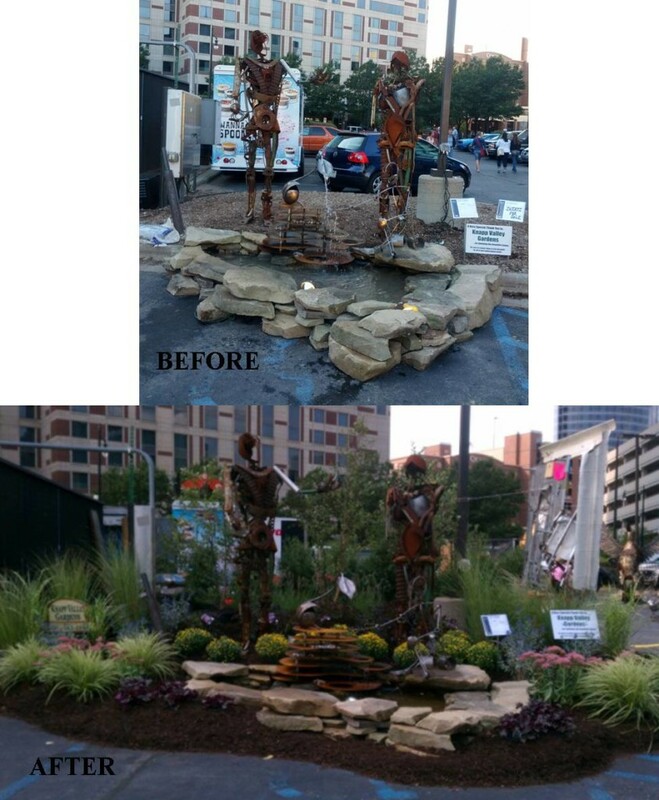 Stop by “Forgive our Trespasses” and check out Chad & Alyssa’s art and Knapp Valley’s landscaping around their piece.